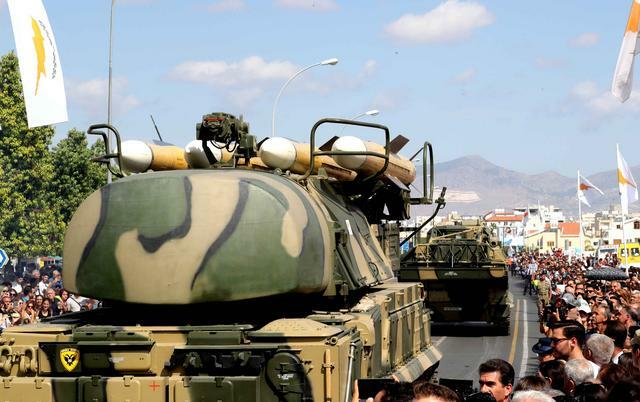 For the first time after nearly two decades of speculations, Cyprus unveiled during the 1st October military parade, the BUK M1-2 SAM batteries that provide a strong Air Defense above the whole island. Two TELAR along with a command vehicle were spotted during the parade. Initially Cyprus wanted to acquire two Hi-SAM S-300 PMU-1 batteries back in the mid 90s. Due to diplomatic pressure from Turkey (threatening even with pre-emptive strike before those SAMs reach Cyprus soil) and to avoid further military escalation, Greece and Cyprus agreed to transfer the S-300 batteries to the Crete island and in exchange Greece would repay in military equipment. The total amount of the deal reached 460 million Euros. Within that deal, Cyprus covered diversified defense needs. A total of 12 self-propelled Zuzana 155mm guns acquired along with 6 Tor M1 SHORADS SAM and a few land-based Exocet MM40 Block 2 SSM Coastal defense batteries. Also as revealed the previous week the version of the BUK SAM batteries was the BUK M1-2. This can be noticed by the shorter in length canards of the 9M317 missile in comparison with the 9M38 missile. The 9M317 missile can only be used from the BUK M1-2 version and later on. This doesn’t exclude the fact that 9M38M1 missile can also be used maybe as a military surplus in case of long war. There are some unconfirmed speculations and rumours that 2-3 full batteries are present on the island. The rest of the Cyprus Air Defenses consists of 12 Aspide 2000 launchers (RIM-7 version) along with 6 Tor M1 that are covering the 2 valuable MBT T-80U battalions. Regardless of the exact quantity of the Cypriot SA-17 Buk, a detailed analysis of the system’s capabilities can be found in an article written by our blog 2 years ago. The article is written in Greek but for the English speakers, an icon based military simulation against a Turkish 44 aircraft strong COMAO air raid (keeping in mind the military balance also with Greece) can be seen in the end. In conclusion, the presence of the BUK SAM batteries on Cyprus seems to be a great choice to counter legacy aircrafts like the turkish F-16 or F-4T Terminator. 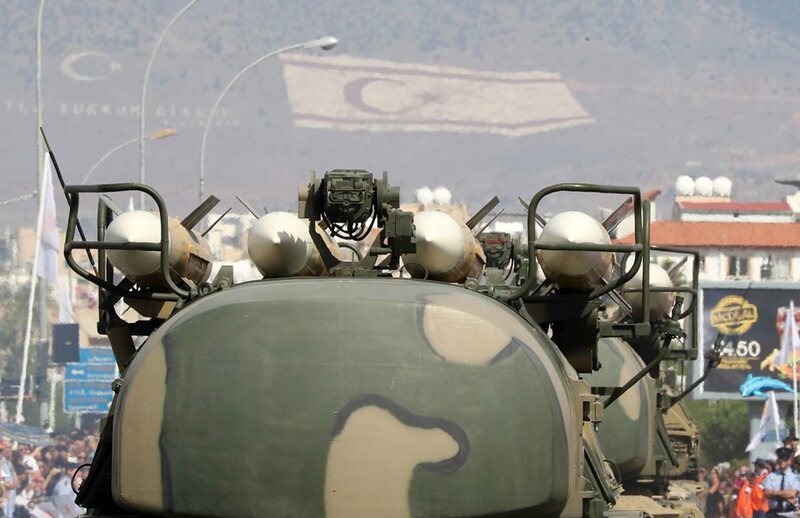 The capability to engage a vast range of air targets at medium range, would ensure the safety from incoming air strikes and PGMs, greatly enhancing defense capabilities of the Cyprus side. This entry was posted in English,Άμυνα,Ελλάδα,Τουρκία,Videos and tagged Buk M1-2,CYPRUS,Eastern Mediterranean,GREECE,HAF,SA-17,TuAF,TURKEY by defencegreece. Bookmark the permalink. 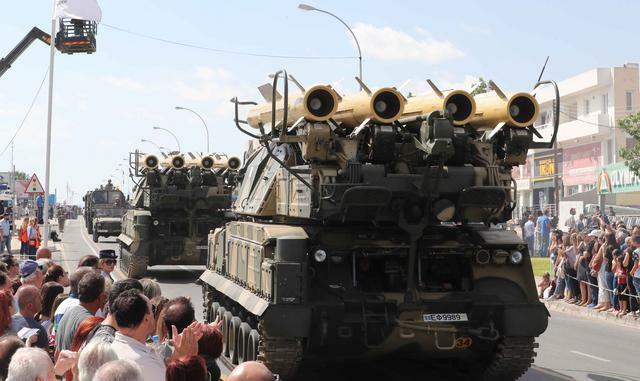 According open sources Cyprus possess 2 battalions of BUK-M1-2 system with 20-24 launchers. Based on the simulation and given the present conditions on the island there is air force, it appears that the number of the system is not sufficient. It should be at least double if not triple. Also based on new developments the standard for ready to fire missiles should be eight and not four and then the reload…. The COMAO will not be one they could be four or five almost at the same time. Furthermore Turkey is introducing additional long range weapons in it’s inventory. Additionally what Great Britain will do from the bases is paramount as they can identify locate and pass coordinates to attacking Turkish forces. Cyprus has no airforce….a strictly air to air dominance airforce is required perhaps twelve aircraft. 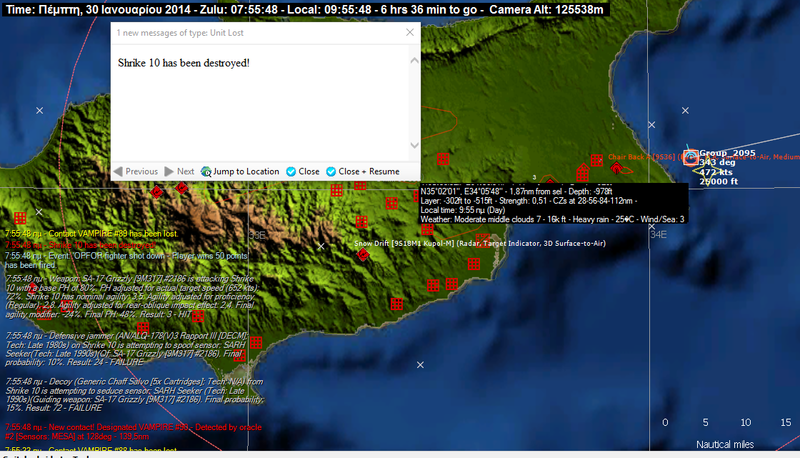 If you notice the participating aircrafts attacked Cyprus from three different directions. As far as I know even if Buk M3 is available (6 missiles per Telar, 12 (!) per TEL), it is not yet purchased from the Cyprus National Guard.